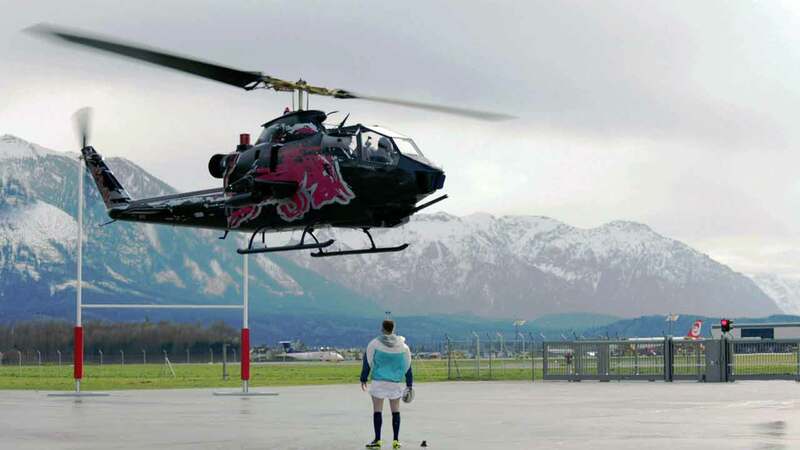 In another exciting collaboration with Red Bull, we decided to test the resistance of three of the toughest Red Bull rugby athletes. As they're already known for pushing their own limits to always stay at the top of their game, we thought it'd be an interesting challenge if we put them through the craziest training program we possibly could. Owen Farrell, Jamie Roberts and George North were sent to their most challenging training session ever where tested their resilience and their ability to remain calm despite the presence of some particularly obvious distractions. Shot on location at Red Bull's headquarters in Salzburg, Austria the crew had just two short days to produce nine films. To make matters worse they had unpredictable spring weather to contend with and a total of four aircraft to co-ordinate.